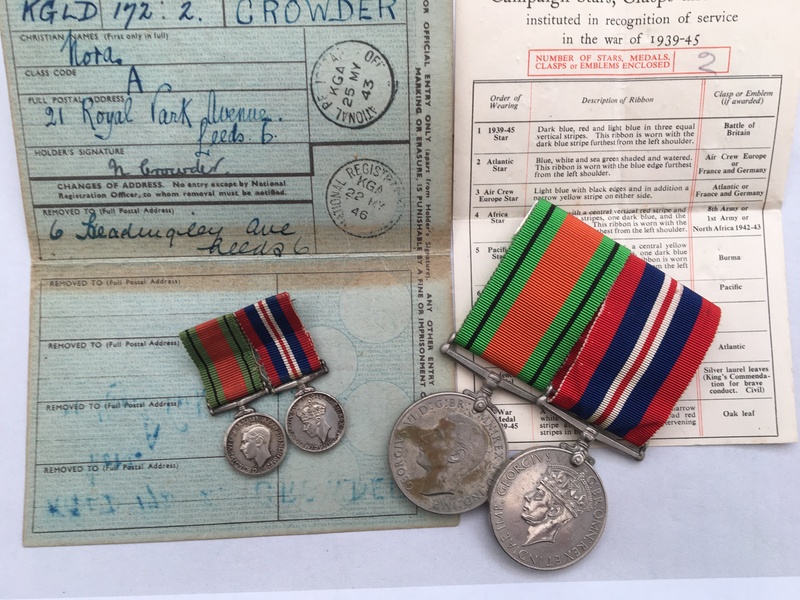 A WW2 family medal group (assumed man and wife) awarded to Mr Frank Crowder and Mrs Nora Crowder of Leeds, West Yorkshire. 1939-45 Star unnamed as issued. Italy Star unnamed as issued. France & Germany Star unnamed as issued. 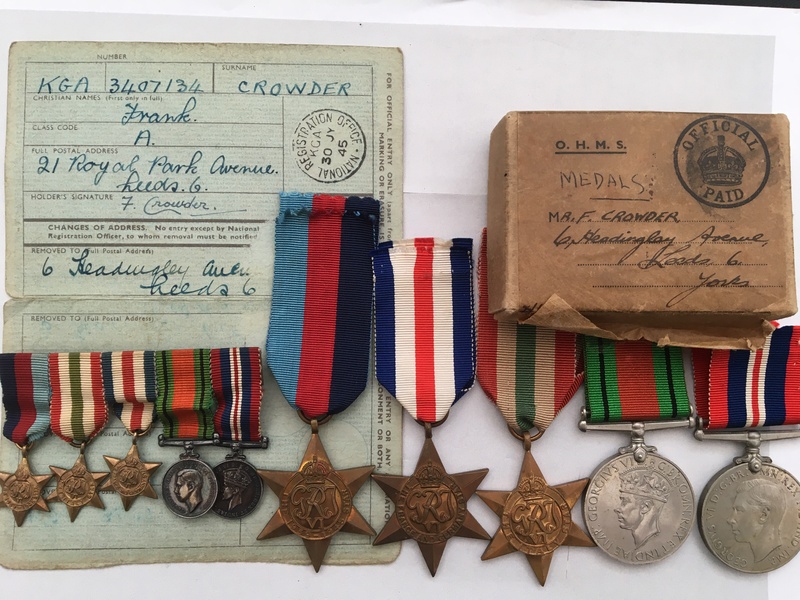 These medals are loose and still within their original box of issue, addressed to Crowder. The box has been posted from the Combined Records Office. 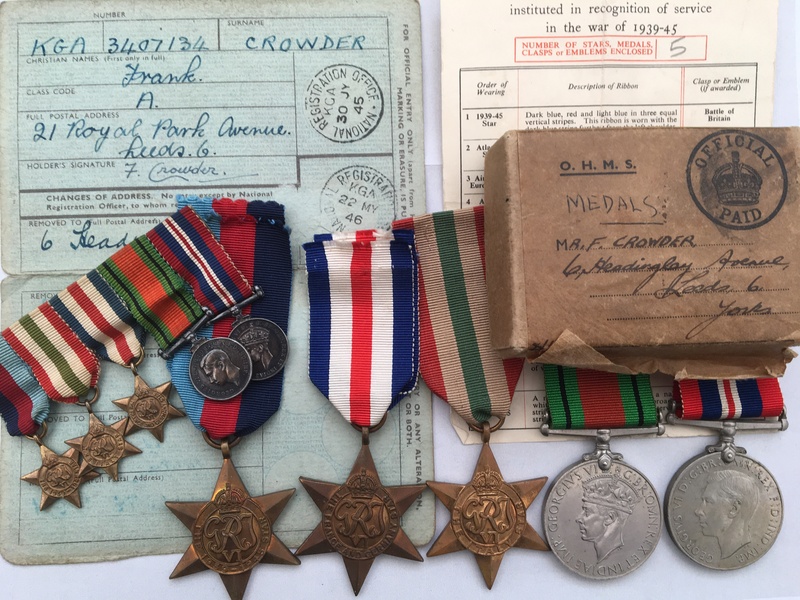 These medals are swing mounted with their original ribbons. 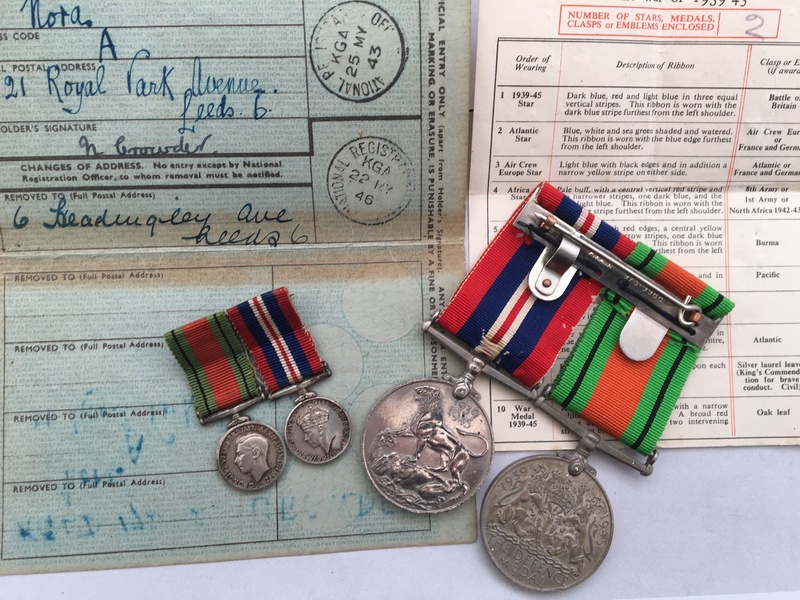 Both sets of medals have an accompanying Army Council Medal Award Slip noting the correct number of awards on each. 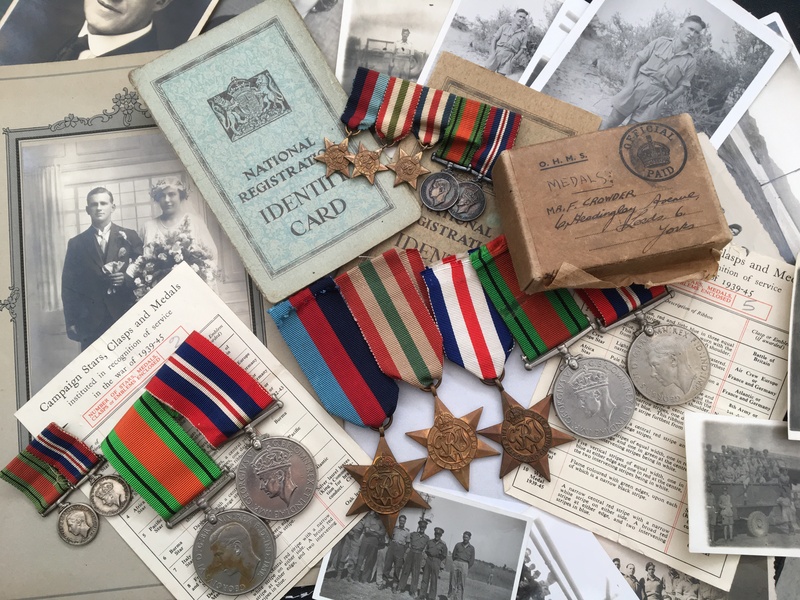 In addition, this listing includes a matching set of contemporary miniature medals for each group which are also swing mounted along with identity cards for both Frank and Nora Crowder and a number of family photographs. I have undertaken no further research in regards to this family. Price £175 - please read the terms and conditions below.